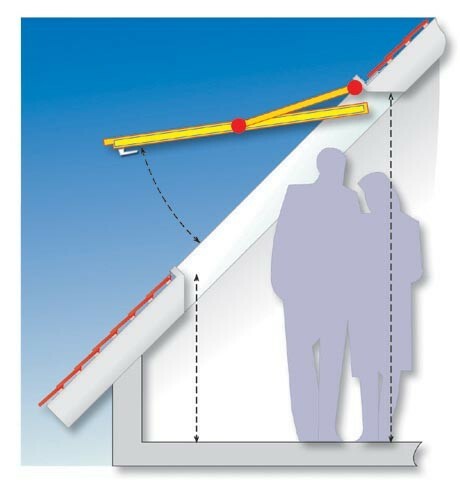 - 1) Easy and quick to fit - Brackets are pre-fitted, (& Insulation collar system if chosen) to give a 30% saving in installation time. - 2) More energy savings - with high insulation, reduction of thermal bridges and controlled air permeability. - 3) More natural lighting - up to 10% more light area with slimmer external profiles and no top control bar. - 4) Maximum convenience, with minimum opener intrusion into the room, and one handle operation at the bottom of the sash. The Roto Top-third opener is an exclusive patented system - It can be opened out to 38o with one handle, with little intrusion into the room. Available in FSC Pine Timber, Real Oak, and PVC with 2 colour options. 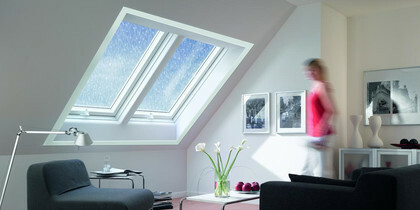 The Roto Designo R7 re-defines the standard of roof windows. 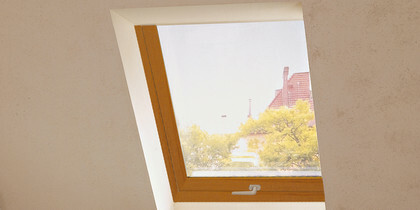 Please make sure you are subscribed to our newsletter to catch even more special offers along with product updates and project ideas from JAS Timber - SUBSCRIBE TO OUR NEWSLETTER - Please leave a product review for Roto R7 Roof Windows.